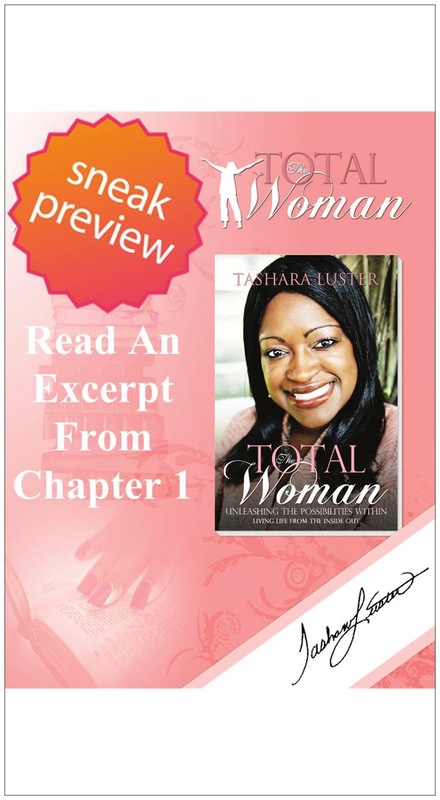 Don’t Wait Another Day… Order The Total Woman Book Today! 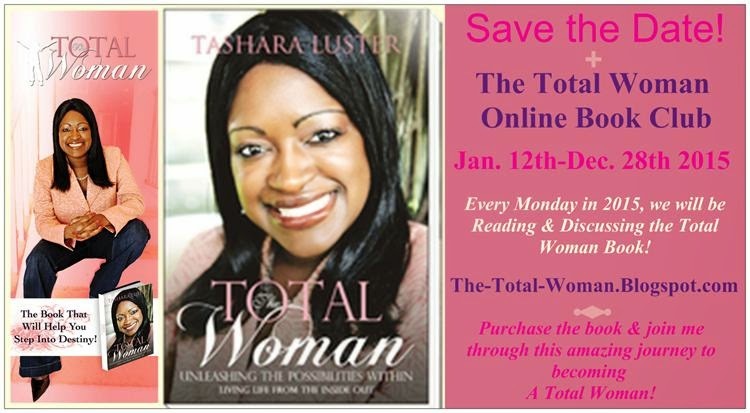 Go Ahead & start reading this life-changing book so that you will be ready for the Total Woman Online Book Club starting Monday, January 12th 2015! Thousands of women from around the world are excited about this amazing opportunity to be mentored by Evang. Tashara Luster for an entire year, so that they can become the Total Woman. This season of your life is the defining moment that will lead to the journey of becoming The Total Woman. This is the book for every woman in every walk and place in life. This is the manual that needs to be in the hands of every woman. I believe that this book tackles every issue that we as women experience throughout our lifetime. After reading this book, you will be equipped, ignited, and positioned for Destiny. This is more than just a book. It is a Life Encounter! You will truly learn how to release your past in order to unleash your future! You will develop a greater understanding of the needed vs. the necessary things of your life. 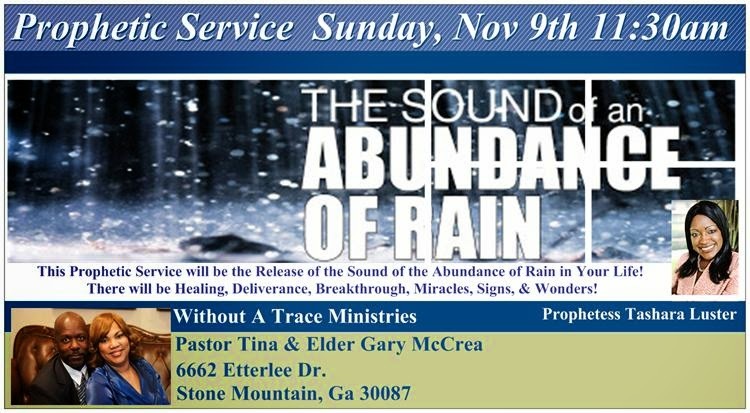 You will go to another level in worship, prayer, Bible reading and intimacy in the presence of God. You will discover that the busyness of life does not make you better. Finally, you will be able to surrender every excuse in order to Live Life From The Inside Out! There is no greater place than the Inside Out Life. You will never be the same after this Life Encounter because you will finally be The Total Woman Living A Limitless Life. 50 Days Until A New Year!! We are 50 Days Away From A New Year, A New You! Today is the 50-Day Mark to Your New Beginning! Finish Well & Finish Strong!! Giving Thanks in All Things! Today's godly habit is THANKSGIVING! Giving thanks every day and in everything! Sometimes we can go through so much in life that it causes us not to be thankful for what we have, what we have learned, and what we have experienced. No matter what has come your way, there is always something to thank God for, always. We should even thank God for what we call "tragedies" in our life. You can turn a "tragedy" into a triumph of thanksgiving. What you are going through and experiencing right now has a greater purpose than just only for you, and it will minister to others. It is for the glory of God. When you seek the glory during your time of "tragedy" then you are able to gain greater perspective as to how this situation ties into your destiny. When you have thankful and faith-filled words, you don't have to beg God for anything; you just remind Him of what He has already told you. The act of thanksgiving will manifest what you are standing in faith for. For example, "Thank You, Lord, that You said I would be the head and not the tail. I will be first and not last, above only and never beneath. Thank You and bless Your Name that my faith stands firm on Your word that the righteous are not forsaken nor does Your seed beg for bread. Thank you, Lord that every promise that I am standing in faith for is in accordance with your word. I now confess and receive them in Jesus' name." *Today's Thanksgiving Exercise: Get a pen and paper and write out everything that is going right in your life. This is a Thank You Lord list for everything you have, and for what God has already done. That I may proclaim with the voice of thanksgiving, And tell of all Your wondrous works. Offer to God thanksgiving, And pay your vows to the Most High. I will praise the name of God with a song, And will magnify Him with thanksgiving. Let us come before His presence with thanksgiving; Let us shout joyfully to Him with psalms. Thanksgiving to God for His Enduring Mercy- Oh, give thanks to the LORD, for He is good! For His mercy endures forever.